Our Branch fostering scheme was revived in November 2004 in response to an identified need to take in unwanted, abandoned and stray animals in the Bedfordshire South area (and beyond!). The aim of the scheme was to alleviate the pressure on the Society’s animal centres and other associated boarding facilities in taking in animals from our Inspectors. Though this remains our aim, the majority of the animals in our scheme now come to us directly from members of the public. Many people are surprised to learn that demand is by far the greatest to take in and rehome pet rabbits. Sadly rabbits are just too easy to come by in the UK and many are purchased as spontaneous presents for children, soon to be forgotten and relegated to the hutch at the bottom of the garden when the weather becomes cooler or the next “fad” appears. In the meantime our list for these unwanted pets waiting for a space in our foster scheme continues to grow. Once a rabbit or guinea pig comes in to our foster scheme it is guaranteed a loving home with one of our foster carers until we can find a new permanent home. Some manage to find a new owner virtually straight away, others are not so fortunate but there is never a time limit on their stay with us. Currently the Branch is providing temporary homes for Cats, Rabbits and Guinea Pigs. However (isn’t there always a but!) each RSPCA branch is a registered charity in its own right and does not receive any government or other funding. Like all RSPCA branches we rely solely on the generous support of the public to continue with our work. 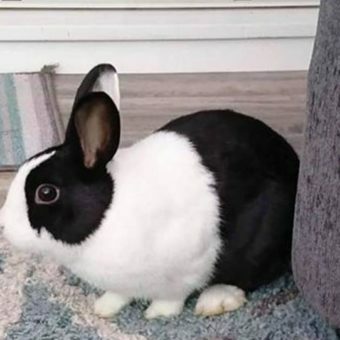 In addition, we pay all veterinary fees while the rabbit remains in our care (often this will include a dental carried out at the same time as the rabbit is neutered), as well as feed and bedding costs. All we ask in return when an animal finds a home is a donation towards the cost of the animal’s care during their time with us. For example for a single rabbit we propose a minimum donation of £40.00 and for a pair the minimum donation is £70.00. As you can see, we’re not in this for the money! Seriously though, to care for our animals to such a high standard requires not only the dedication of all of our volunteers, from fosterers to fundraisers, but also the generous support of the public to enable us to continue to help. If you would like to lend RSPCA Beds South your support in any way, from a small donation to volunteering your time or fostering an animal, please see our ‘Support the RSPCA’ page for ideas.